Streamtime is a loose network of media activists dedicated to assist local media to get connected. 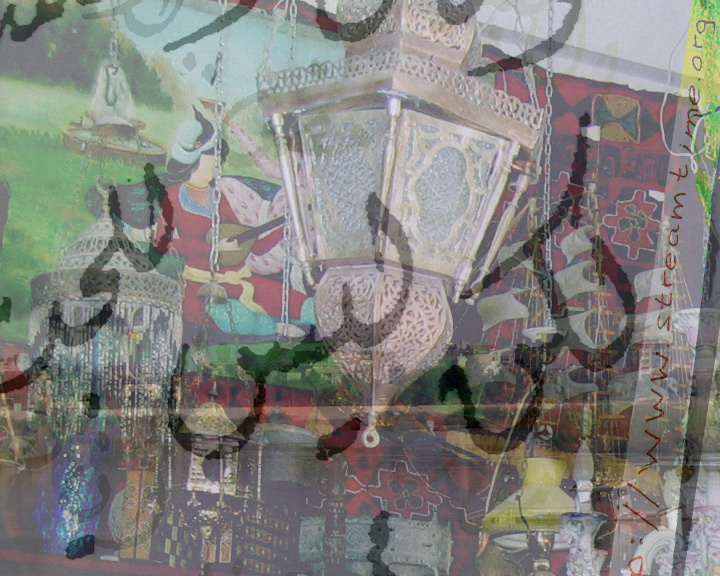 Streamtime uses old and new media for the production of content and networks in the fields of media, arts, culture and activism in crisis areas, like Iraq. On Wednesday 14th. of July 2004, between 11 a.m. and 1.30 p.m (CET) the first live streaming radio transmission was realized from Baghdad, facilitated by the Streamtime campaign. On the 30th of June, two weeks before, the first ever internet radio program came from the Kurdish village of Halabja, which suffered a poison gas attack by order of the former Iraqi president. The flow of Streamtime is determined by shared needs, skills, knowledge and experiences of all involved. Openness, free publishing (copy left), easy access, low-to-no literacy and multi-linguality are guidelines. Open source software will be preferred and stimulated. Streamtime wants to research, indicate, point to amazing stories of people that, against all odds, are building a new Iraq. We want to help break the media barriers, provide tools and knowledge to build their own radio broadcast stations, make programs and exchange content. Worked as an independent journalist from Rome, Italy; researched on (petro) chemical industries for Greenpeace; investigated in Italy and The Netherlands on women traffic for Blinn (Bounded Labour in the Netherlands), researched recently on ‘Investigative Journalism’ in Italy for the VVOJ (dutch-flemish investigative journalists association). Works since June 2004 on the Streamtime project. The Intermundos website is to be our main window to the world. It was created in a region which is completely removed from anything to do with contemporary art, technology and communication. This region is the Caribbean coast of Colombia, which, because of its geographical position, has historically always been an important point of communication and exchange. Colombia is the only country which communicates South America by land to Central and north America and also has access to both the Atlantic and Pacific Ocean. It is through this region that for millenniums, communication flowed between the indigenous groups of the Americas, and it is through our ports that during the colonial times most of the African population was brought to South America and the gold and silver taken out. Today, it is through Colombia that “drugs” and dollars are exchanged between the Andean region and the first world. Yet we are isolated from the communication processes that evolve between the experimental movements of the thinking youth of the first world. This is due partly to our status and reality as a third world nation, which implies lack of technology (except for the hi-tech guns) and lack of education. But, this isolation is also GREATLY AFFECTED by a media policy which accompanies all “low impact wars” whereby MEDIA COVERAGE is limited to a minimum information and maximum of disinformation. This is unfortunate because we do have many worthwhile values, ideas, arts and knowledge to share with humanity. We are citizens of this new globalized earth and are searching for means to establish contact with our peer thinkers, activists, artists, musicians etc. from other nations. The strategy insofar as the conception and design of the website has been to depict indigenous and afro Colombian cultures by utilizing their thought system, knowledge, products, designs, ideas and applying or expressing these utilizing new media technologies. Because cultural concepts of indigenous ancient communities are non-western and non-linear, the multimedia formats, non-linear and interactive themselves provide the ideal context for portraying their multi dimensional conception of reality. Instead of portraying these cultures by utilizing traditionally western means such as writing and Cartesian analysis, I propose to absorb the local thought system and apply it in the construction of the visual language of the website. The written content is mainly unedited interviews or transcribed speeches, not interpretations written by third parties, this in order to make possible that the speaker voice her uncensored opinion and for the reader to decipher his own interpretation. To develop an interest in, and access to, the arts in a marginal sector of society, we feel it is important to work with a movement, which reflects that sector. Therefore we have chosen to work with a culture created by the oppressed black and latin youth of the first world – hiphop. Hip-hop has become a way of life for many people around the world. It is made up of many artistic forms of expression such as the “MC” who raps over beats provided by the “DJ” which samples and mixes records; the “B-boys and girls”, that dance and the “writers” or “graffiti artists” paint murals on whatever canvas the urban landscape provides them with. It is an open, dynamic movement – always evolving, changing and letting creativity and new tendencies flow. There are neither limitations nor preconceptions, making hip-hop unique within contemporary conceptions of limiting, naming, and pigeonholing every artistic movement. In Colombia exists one of the strongest hiphop movements in South America. This phenomenon represents an already established communication bridge whereby Colombian youth and the youth of other nations may establish a dialogue. Vanessa Gocksch aka PatadePerro, was born in the north but opted for the south. Traveling from Brussels to Miami then Mexico, now she resides in Cartagena de Indias on the Caribbean coast of Colombia. She studied visual arts with an emphasis in sculpture in Florida International University, La Cambre – Ecole Superieure de Arts Plastique and Universidad Autonoma de Mexico. She has worked in many different mediums including sculpture, etching, photography, installation, performance, video and documentary. As of the year 2000 she started venturing into the digital realm, self teaching herself the tools necessary to communicate and create in what she calls an indispensable medium when located in a “remote” region of the planet. She is presently performing as a video jockey under the name of Pata de Perro, as well as producing a documentary and developing the project Intermundos and its website. Franco Berardi an italian philosopher, political activist, writer, mediatheorist, media-activist… has been known as “Bifo” since he began to sign his abstract paintings at school with the name. He later became a left-wing activist, joining the group Potere operaio (Worker Power). After Potere operaio broke up into an archipelago of autonomous groups across Italy between 1973 and 1974, Bifo was a part of this autonomist movement’s more “cultural” wing, which experimented with media and cultural production. The result of the political turmoil of the period around 1968 was for Bifo a thorough rejection of any “Partyist” idea of political organisation in favour of developing a concept of “auto-organisation” that would explicitly not constitute a party. In 1976 he was amongst the founders of Radio Alice in Bologna, the first Italian pirate radio station, which chronicled the insurrectional events of 1977 in the city and was shut down by the authorities. Between 1976 and 1981 Berardi was also one of the editors of the magazine “A/traverso”, which became the paper of the Bologna creative movement. For Bifo and other activists of “Creative Autonomia” use of medias enabled the constitution of a zone of linguistic self-organisation of the movement in alliance with other areas of auto-organisation such as the factory or the University and especially with non-institutional zones of experimentation with ways of life. According to Bifo, capitalism is always flogging a dead horse: in its attacks on unions, strikes and terrorism it fails to notice the emergence of a new uncapturable figure, outside the domain of conventional politics. Subsequent to the repression of the autonomist movement in Italy in the late seventies, Bifo fled to Paris where he worked with Felix Guattari. During this time he wrote for the Chimeres journal in Paris, the Semiotext[e] journal in New York, and the Musica 80 journal in Milan. The relationship between communication technology and social movements had became permanently central to Bifo’s thinking and action. He published in the magazine “Alfabeta” the article “Tecnologie comunicative” (Communicative Technology), which forecast the explosion of networks as a decisive social and cultural phenomenon. In 1989 Bifo published the pamphlet Cyberpunk with the publisher Synergon. That was followed by “Piu’ cyber che punk” (More Cyber than Punk), “Cancel”, “Politiche della mutazione” (The Politics of Mutation) and “Mutazione e cyberpunk” (Mutation and Cyberpunk). In the 1990’s Bifo has focused more closely on the changing nature of capitalism and its utilization of communication technology and culture within a new regime of production. He has given sustained attention to the shift from the New Economy to the war economy. He also published one of the few books to reflect on the experience of Potere Operaio (La Nefasta Utopia di Potere Operaio). More recently he has published a book on Felix Guattari “Felix” (2001) and the book “Telestreet – Macchina immaginativa non omologata” on the experiment of Telestreet, a network of micro-channels spreading all over Italy against the media-dictatorship. In his latest book “Il Sapiente, Il Mercante, Il Guerriero” (The Warrior, the Merchant and the Sage) published in 2004 Bifo re-reads the experiences of Autonomia and launches a rigorous analysis of the political situation of the present and its possibilities for radical transformation. Analysis links the economic crises from the end of the 1990’s with such phenomena as the flourishing pharmaceutical economy of drugs from cocaine and Amphetamines to Prozac, the multiplication of disorders such as depression, attention deficiencies, new forms of dyslexia etc.Some of the most central concepts Bifo is working on nowadays are precariat and cognitariat, new proletarian figures under the fractalized networks of semiocapitalism. More recently he has published a book on Felix Guattari „Felix” (2001) and the book „Telestreet – Macchina immaginativa non omologata” on the experiment of Telestreet, a network of micro-channels spreading all over Italy against the media-dictatorship. 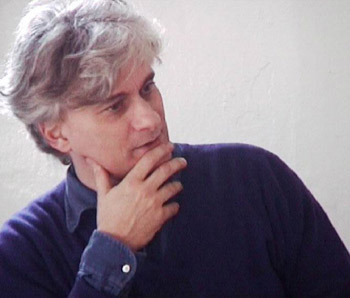 In his latest book „Il Sapiente, Il Mercante, Il Guerriero” (The Warrior, the Merchant and the Sage) published in 2004 Bifo re-reads the experiences of Autonomia and launches a rigorous analysis of the political situation of the present and its possibilities for radical transformation. Analysis links the economic crises from the end of the 1990’s with such phenomena as the flourishing pharmaceutical economy of drugs from cocaine and Amphetamines to Prozac, the multiplication of disorders such as depression, attention deficiencies, new forms of dyslexia etc. Some of the most central concepts Bifo is working on nowadays are precariat and cognitariat, new proletarian figures under the fractalized networks of semiocapitalism. Franco ”Bifo” Berardi In 2002 Bifo was an integral part of setting up the www.rekombinant.org website, a web environment of informal communication that does not add up to identity. Bifo’s articles spread all over the Net, some Finnish translations may be found in Megafoni-webzine megafoni.kulma.net. The lecture of Franco ”Bifo” Berardi is organised in collaboration withTutkijaliitto.